Still waiting on pumpkins over here. 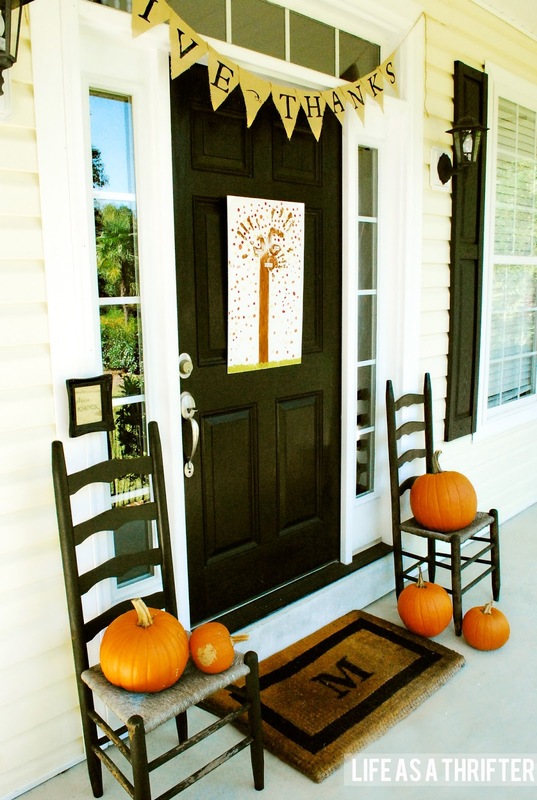 Hopefully this week...but in the meantime, here are a few fall doors from years past. Got any fun ideas up your sleeve for your fall door this year? 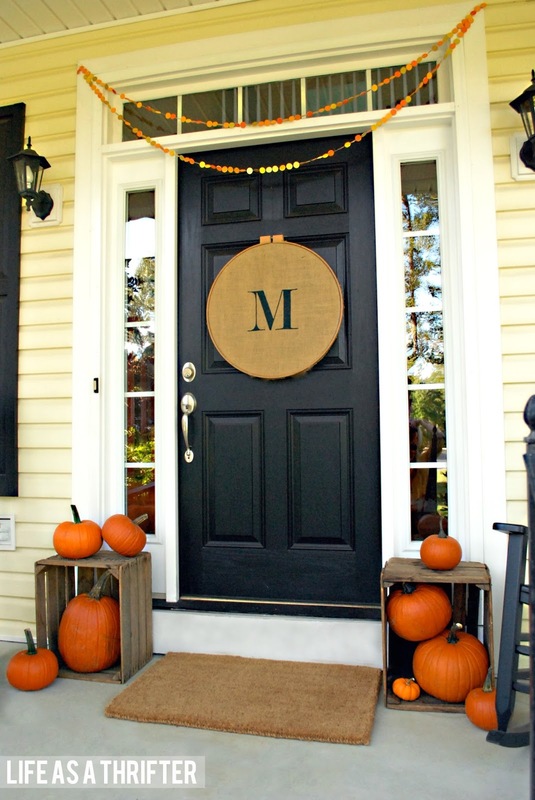 I've always loved the embroidery hoop one and I'm sure I've pinned it to my Fall and Halloween board! 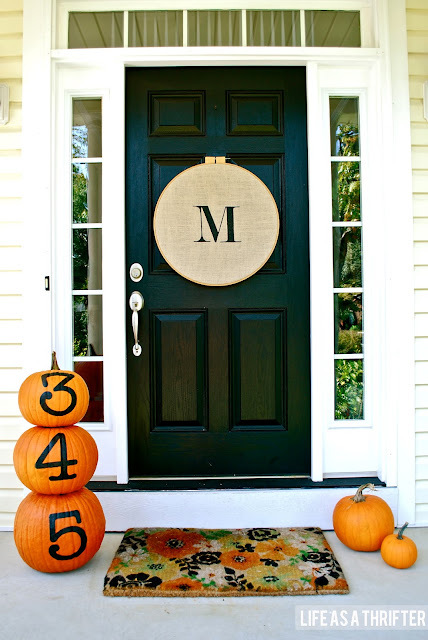 Anything that features pumpkins makes me happy!